Should I read the DI Andy Horton series in order? The answer is no. They can be read in any order because each is a standalone mystery. In each DI Andy Horton (and there are now 14 in the series) there is a new crime for the flawed and rugged detective to investigate but there is also the drama of his unfolding personal life and his quest to discover the truth behind his mother's disappearance (Jennifer Horton) thirty years ago. It can never be determined which book in the series a reader might buy from a bookshop or online,or borrow from a library so I need to weave in Andy Horton's back story and his personal quest enough so that the new reader can pick it up but not too much that it bores the reader who has read the Horton series from the beginning. Some readers have told me that they've discovered Andy Horton in a later book in the series and then having done so have gone back to the beginning and read them in sequence. 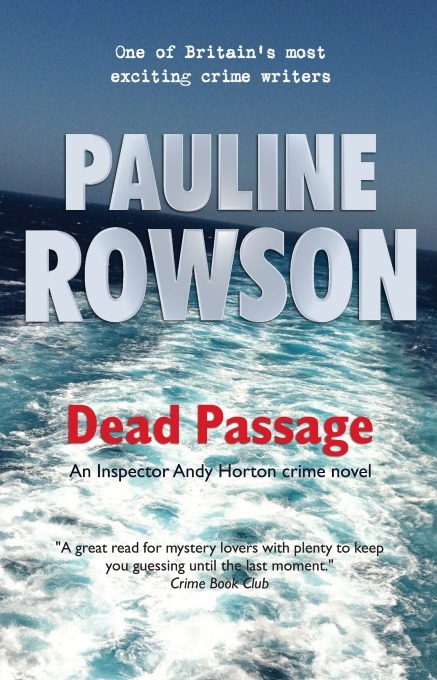 There are now now fourteen in the DI Andy Horton crime series with DEAD PASSAGE published in paperback, as an ebook and on Amazon Kindle in 2018. So DI Andy Horton has come a long way since first appearing in Tide of Death in 2006. In each novel there is a new case for DI Andy Horton with plenty of action. Horton is often joined by Sergeant Cantelli and the Major Crime Team headed by Detective Superintendent Uckfield. Horton is also often in conflict with his abrasive CID boss, DCI Lorraine Bliss. I enjoy writing the DI Andy Horton series and seeing the characters' lives unfold. I hope my readers do too. This article has been updated. It was originally published in June 2015. It was a very interesting talk at Lyndhurst U3A and meeting you was great. Since then I have read everyone of your books which I find so exciting I can hardly wait for the next one. You did mention that possibly Andy Horton might visit Lyndhurst!! Any research needed on the area - just ask! Surprised your books were not in Waterstone in Portsmouth, they had never heard of you!!! Thanks for the blog comment. I`m surprised too seeing as I have done book signings there and they have always stocked them in the past! Maybe they had sold out. They should have looked me up and they will always order copies. Hopefully you`ve stirred them up to at least get some in. Many thanks. Pauline.